Steve Levy a brilliant and legend star in the Tennis World passed away but his name will remain alive until a long time. Tennis lovers have always a love of the game of tennis from the early 1970s right up to today may have seen and enjoyed with the experienced the kindness and warm friendliness that Steve Levy had been presenting on a regular basis throughout the tennis community. Steve Levy was an inhabitant of Long Island, New York, the United States of America where lived and started his sports profession. A large number of Steve Levy friends the most famous of whom are Peter & Michael Fishbach, Bob Barker, George Goleman, Renee Richards, Abby Segal, Sydney Schwartz, John Nogrady, Larry Prezant, Ronnie Kahn, and the list goes on and on. As a tennis player, Steve Levy achieved a high senior singles ranking in the Eastern Section in his sports profession. Steve Levy sports relationships tremendously increase and went far beyond the Long Island tennis community.On Steve’s well-manicured clay court in Kings Point, NY, Alan King, Lew Hoad, Rod Laver, Fred Stolle, Roy Emerson, Pancho Gonzalez, Stan Smith, Bob Lutz, Bobby Riggs, Pancho Segura, Vitas Gerulaitis, Eddie Dibbs, Peter Fleming, Jimmy Connors, Charlie Pasarell and many more tennis great players all skillful and warm friendships and tennis with Steve Levy for over the years. Very few people came to know that Steve Levy was the first sponsor of the United States Open Junior Championships that was started in the year 1973 when he was contacted by Tournament Director Bill Talbert. That first involvement was followed by much more over the years, including sponsorship of a big number of USTA Pro Circuit Events. Until the year of 2014, Steve Levy was a prominent and major sponsor of bringing the United States of America vs. The Great Britain Davis Cup tie to San Diego. Along with his son Morris, Steve Levy supported a number of Pro-players that involved Grand Slam Champions pairing with local Long Island amateurs, thus managed and collected thousands of dollars for providing to the different charity organizations. Steve’s love for the game and his players often went well beyond the tennis court. If a tennis player had a problem, Steve Levy was often the first to reach out and help. 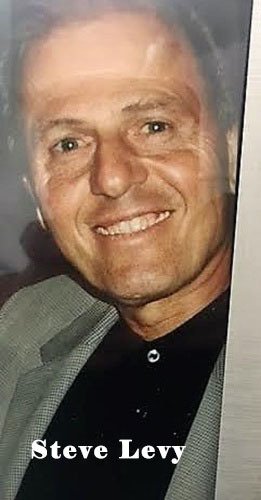 A family oriented man, Steve is survived by Renee, his wife of 62 years, 3 children, and 3 grandchildren, all of whom shared his love and enthusiasm for the game of tennis. In fact, the demise of Steve Levy is an irreparable loss to the tennis game He will be sorely missed by the game of tennis, and irreplaceable in the hearts of many tennis lovers. In tennis, tennis court fencing is an important component while constructing a tennis court, for more services related to tennis courts then contact, Talbot Tennis and visit Talbot Tennis Reviews, the place where tennis is supreme.